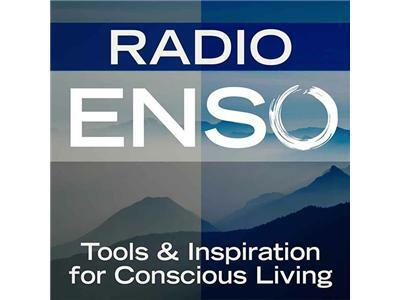 Join me Monday, November 4th at 6 p.m. Pacific/9 Eastern on Radio Enso. My guest will be life coach and writer Natalia Chouklina from Achieve the Impossible, which is dedicated to helping you take magnificent strides towards a life you love and truly desire! We'll also discuss her new program Unravel Yourself Circle, which is designed to work through what you need to feel alive, connected, and enthusiastic about every day. About: Natalia Chouklina is a certified life coach for people who are ‘dissatisfied with feeling dissatisfied’ and ready to answer the call for more alignment. Through her 1:1 sessions, eBooks and eCourses, Natalia helps her clients respond to the call and own their wisdom. A wildly passionate life coach + thought-provoking writer, she’s been spotlighted on Kind Over Matter, Wellness Warrior, Wild Sister Magazine, Elephant Journal and Sprout Magazine. For more information about Natalia and her work, visit: http://achievetheimpossible.ca.